Central Florida's Best Source for Mobile Homes! 1st Choice Mobile Homes is Central Florida's #1 Mobile Home sales company. 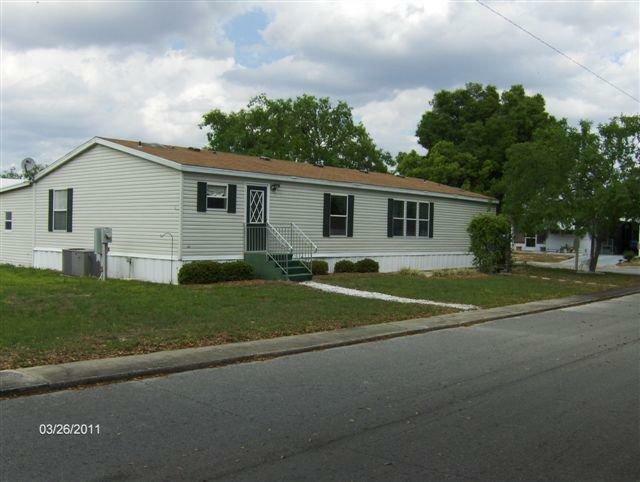 If you're looking for a new or used mobile home in Orlando, Kissimmee-St. Cloud, Apopka, Sanford, Daytona, Tavares, Eustis, Leesburg, Mt. Dora, Plymouth, Flagler Estates, Zellwood or any other Central Florida location, then 1st Choice Mobile Homes is the first place to look. We have been in the mobile home business in Central Florida for over 30 years. We specialize in the resale of used mobile homes in the numerous Central Florida mobile home parks and manufactured home communities. If you are trying to find an affordable mobile home for sale in Orange County, Osceola County, Brevard County, Flagler County, Lake County or Seminole County, then search our listings by clicking on one of the buttons to the left and get ready to find the home of your dreams! We also offer Central Florida�s best deals on new Mobile Homes and Manufactured Homes shipped directly from the factory to your home site. We are authorized factory dealers for, Champion, Fleetwood, General & Nobility Homes. We offer complete new home packages including, permits, land clearing, transport, set-up, plumbing, electric, and skirting. We are your one stop shop, your first and only choice for new or used mobile homes in Central Florida. Looking for other mobile home related services? The navigation menu on the right will take you to the many services we offer or are developing to further enhance and expedite your Mobile Home purchasing experience. Want to list your Mobile Home With Us? We offer sellers the best value in Brokerage Services in Central Florida. Our professional staff will advertise your home, show your home to pre-qualified buyers, and assist in securing the financing needed for the buyer to purchase your home. We will promote your home through several medias including newspaper ads Central Florida yellow pages, and over 25 different websites, including this one. We are Licensed Florida Mobile Home Dealer/Brokers, Insured and Bonded. We will provide you with an expert appraisal and comparable sales to help you establish a fair market price, negotiate with buyers on your behalf, and maintain all deposits in an insured escrow account until closing which takes place at our office Just 1 � miles from I-4 and Maitland. 1st Choice will handle all title work and legal paperwork required by The FL DMV to complete the sale. Best of all, if we don�t sell your home within 180 days, YOU OWE US NOTHING! Not only are we the 1st Choice when searching for a Mobile Home in Central Florida, but the 1st Choice for selling one too! Contact us toll free at 1-888-MOBILEHOME (602-4534) or by sending an e-mail to sales@1stchoicemobilehomes.com. Website Designed By New Wave Creations, Inc.